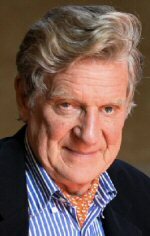 Robert Thurman is a noted author on Buddhist topics and Professor of Indo-Tibetan Buddhist Studies at Columbia University. In 1990, the Humanist Association of Massachusetts invited Robert Thurman, Professor of Religion at Columbia University to lecture on the similarities and differences between Western philosophical Humanism and Buddhism. His talk was entitled Buddha: The First Humanist? A cassette recording of the talk was recently discovered and has been converted to a digital file. Thurman was introduced by Tom Ferrick, who was then Humanist Chaplain at Harvard University. Note that some words were lost when the cassette reached the end of a side.